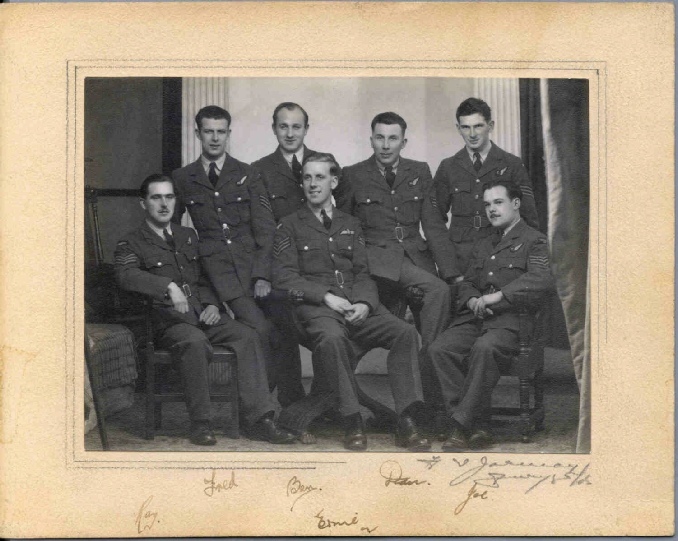 This web site has been set up to keep together all documentation which is known about Pilot Officer Ernest Arthur Kingham of 514 Squadron RAF, who lost his life in June 1944. 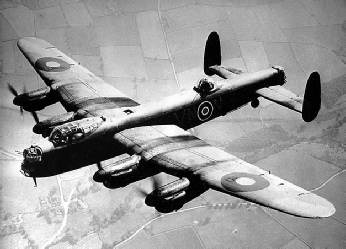 He was flying an Avro Lancaster, which was shot down by a German night fighter over Iwuy, near Cambrai in Northern France. The pictures above show Waterbeach airfield near Cambridge from which his aircraft took off at 11.14 p.m. on 15 June 1944, and an example of the plane he was flying. The picture on the right was taken some months before of the crew of the aircraft. Several copies of this picture are extant, each of the crew signing all the copies belonging to his crewmates, but not his own copy, which explains why there are only six signatures. The aircraft’s registration number was LL690, identification code JI-J.